VATICAN CITY (CNS) — When Christians remember their beloved deceased, they proclaim that their bonds with them are not broken by death and they profess their hope in eternal life, said Pope Benedict XVI. 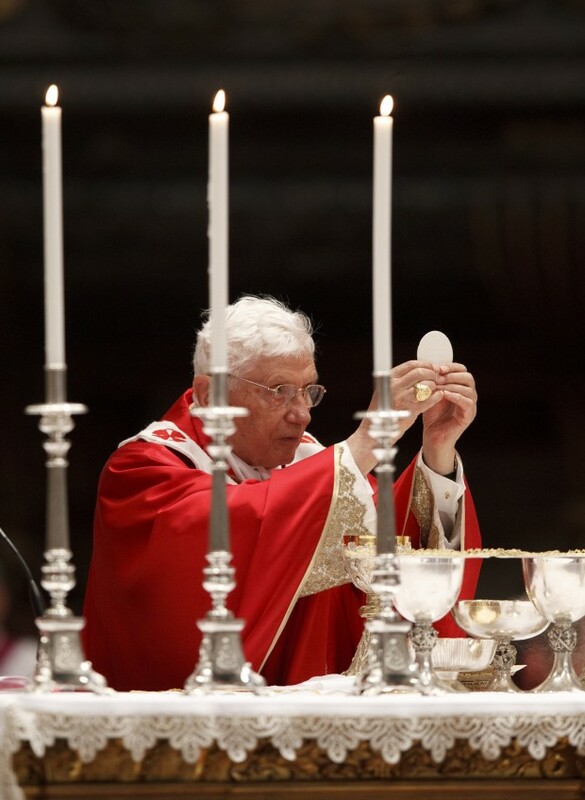 Pope Benedict celebrated a Mass Nov. 3 in St. Peter’s Basilica in memory of the 10 cardinals — including U.S. Cardinals John P. Foley and Anthony J. Bevilacqua — and 143 archbishops and bishops from around the world who died in the past year. 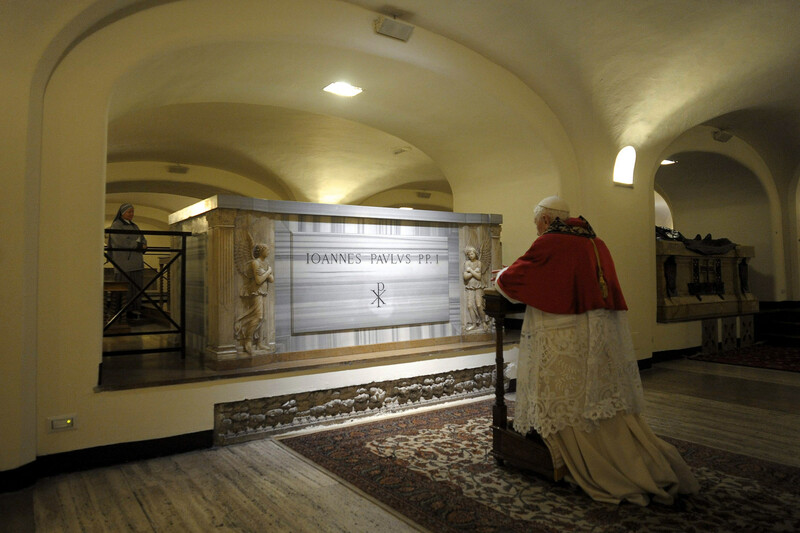 The evening before, Pope Benedict had paid a private visit to the grottoes under St. Peter’s Basilica to pray at the tombs of the popes buried there. The November commemorations of All Saints and All Souls, as well as other memorial Masses traditional during the month, are not simply ways Catholics remember those who have gone before them, the pope said, but they also are expressions of Catholic faith in the reality of eternal life. Reciting the Angelus Nov. 4 with pilgrims in St. Peter’s Square, Pope Benedict said the saints are those men and women who tried to live the commandment to love God and to love their neighbors as themselves. And just as parents love their children not only when they are being good, God always loves us and tries to help us see when and where we go astray, the pope said. “From God, we learn to want to do only what is good and never what is bad. We learn to see others not only with our own eyes, but with the gaze of God,” looking beyond the superficial to see the other person and what he or she needs, the pope said. “Love of God and love of neighbor are inseparable,” he said.